Harvey and Donna Smith are no new comers to farming. Harvey grew up on a dairy farm and in 1972 he and Donna purchased their own farm in New Haven, VT. Their two daughters, Amy and Sarah, were born on the farm and grew up helping out with chores. Together, they ran a successful dairy operation until 2005, when they sold the cows to start building their herd of beef cattle—currently at 90 head of Hereford/Angus crosses. Donna, an elementary school teacher of 25 years, now assists Amy in providing childcare on the farm, where the kids can help “feed” the animals and collect the eggs. Their granddaughter, Anna Jo Smith, a business partner in the farm and graduate of Vermont Technical College, is a student at the University of Vermont, studying Dairy Science with a minor in Business. Her goal is to become an agricultural teacher for high school students, while helping to keep the family farm going. Harvey Smith has done a tremendous amount to help shape agricultural policy in Vermont and at the national level. A member of the Vermont House of Representatives for Addison County District 5, Harvey was first elected to the Vermont Legislature in 1998 and served four two-year terms on the House Committee on Agriculture and Forest Products. In 2007 he was appointed to serve as Farm Service Agency State Executive Director for Vermont by the U.S. Department of Agriculture, where he was responsible for overseeing FSA’s responsibilities to farmers within Vermont and contributing feedback to assist the agency in policy decisions. He returned the Vermont General Assembly in 2011 and continues to serve on the House Ag Committee. He is particularly proud to have introduced the bill for the Farm Viability Enhancement Program, among others. As a marketing consultant and technical assistant for the Vermont Farm Viability Enhancement Program, I see the benefit first-hand that it brings to Vermont—in equipping farmers and value-added agricultural enterprises with the business planning, infrastructure improvements, and marketing tools they need to successfully and responsibly grow their businesses in today’s competitive marketplace. 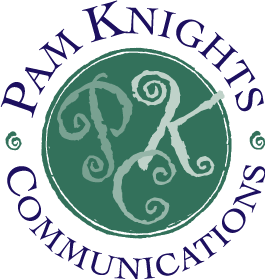 The website Pam Knights Communications recently finished for Smith Family Farm was funded in part through a VT Farm Viability Program grant. In 2011 Harvey and Donna Smith chose to conserve 265 acres of their farm and forestland with the Vermont Land Trust. The conservation easement ensures that the land will never be developed or used for purposes other than agriculture, forestry or recreation. The sale of their development rights has also enabled them to improve the farm’s infrastructure and add a walk-in freezer to store their meats. They currently use approximately 250 acres in their farming operation, with the remainder in managed forestland production and wildlife habitat. After 13 years in public relations and special events at New England Culinary Institute, working with chefs and the restaurant side of the food business, I had the good fortune to work at the Vermont Land Trust for three years, to promote land conservation and work with farmers and the working lands side of the food system equation. This experience has given me a broader appreciation for the interconnected nature of the two entities. It has also given me an appreciation for the importance of conserving contiguous blocks of farmland in areas with a strong agricultural land base, such as Addison County. 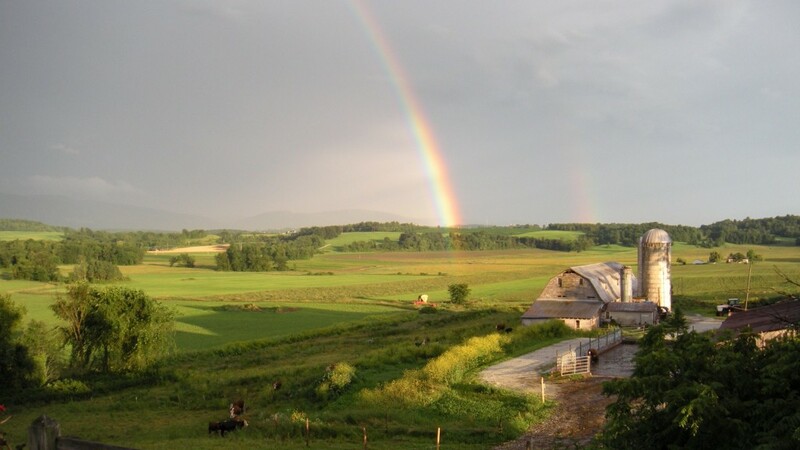 The work of Vermont Land Trust is paramount in conserving farmland for future food production in Vermont and I would encourage people to support their work. On their conserved farm, the Smith family produces grass-fed Vermont beef, supplementing their cattle’s feed during the winter months with hay and corn silage grown on the farm. Their pigs are raised from their own sows and are housed in pig pens built in the former dairy barn. The pigs receive a mixed diet of vegetables and grains. Meat birds are started at several intervals during the year and orders can be custom grown to a customers preferred weight. They also offer fresh eggs from pastured hens. Their meats are free of antibiotics and artificial growth hormones. The Smiths are fortunate to have a walk-in freezer on the farm enabling them to offer whole, half and quarter animals, a variety of frozen meat packages, and individual cuts. Their farm store is open Mondays through Saturdays 9-5 or by appointment. 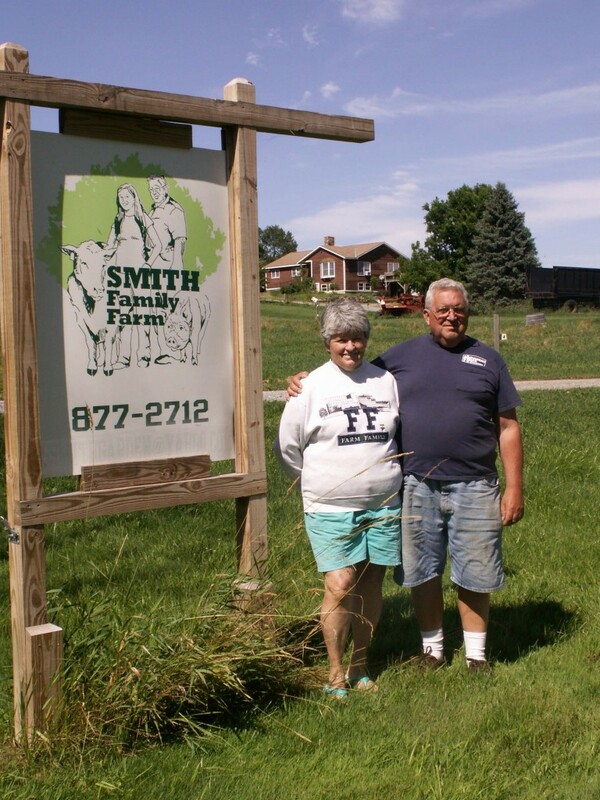 Smith Family Farm is not only committed to producing healthy, high quality meats at affordable prices, but it is part of their family ethic and business mission to give back to their community. Every year, the Smiths donate 5% percent of their profits in support of youth programs and organizations in the New Haven and Middlebury communities. They have donated a half beef again this year to benefit the New Haven Volunteer Fire Department. The drawing will be held on Oct. 12 and tickets at $5 each can be purchased through Smith Family Farm or the Fire Department—providing a good opportunity to fill your freezers with beef while supporting a good cause! Please check out their website and consider purchasing their meats and a raffle ticket. It has been a true pleasure working with Harvey and Donna Smith over the past few years to develop their branding, messaging, and marketing plan, as well as their print materials, and most recently their new website at www.SmithFamilyMeats.com.